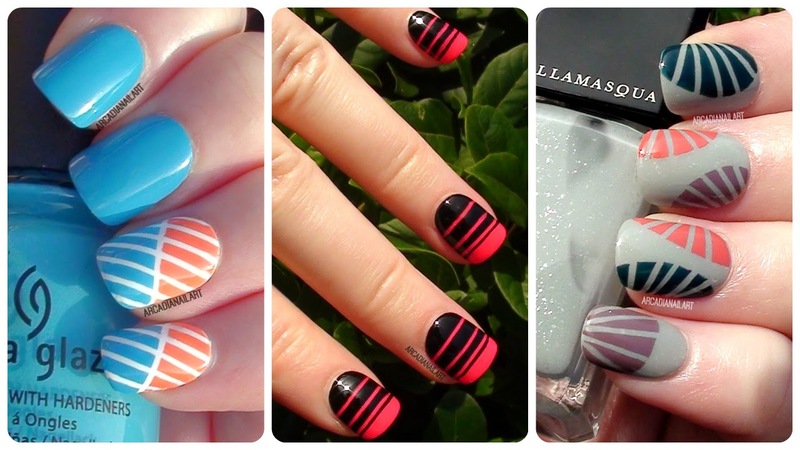 3 More Easy Striping Tape Nail Art Designs! I've been experimenting with striping tape again trying to find simple yet effective ways to make new designs. They're perfect for beginners and don't forget that striping tape is easily found on ebay and amazon. Take a look at my new video and learn how to create each of these 3 looks at home! Halloween is nearly here and one of the more original designs that I've made for the season is my witch's brew tutorial, a gruesome but kinda cute potion of glitter, spiders and eyeballs that's pretty simple to create. 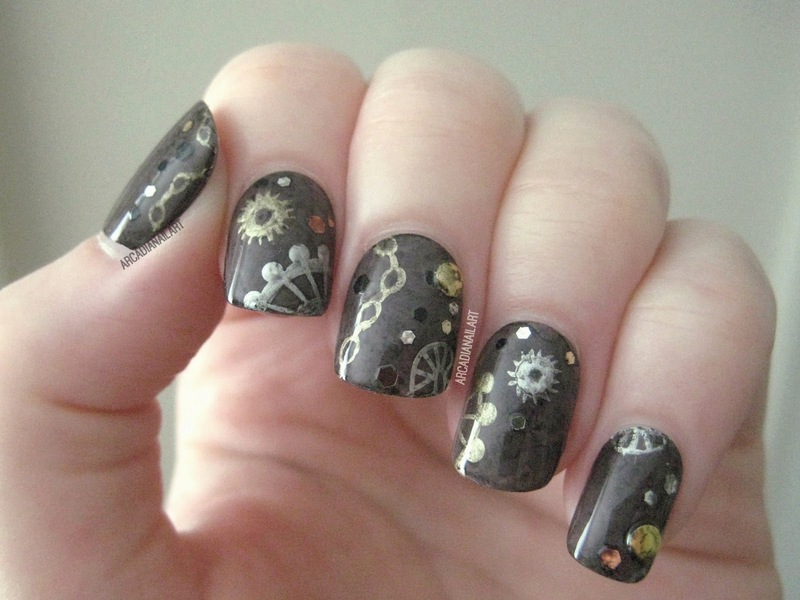 I did this when my nails were really short, so it works for all lengths of nail. Take a look in the video tutorial below! As Halloween is nearly here I thought I'd highlight my previous halloween nail art tutorials from the archives, starting with a water marble! 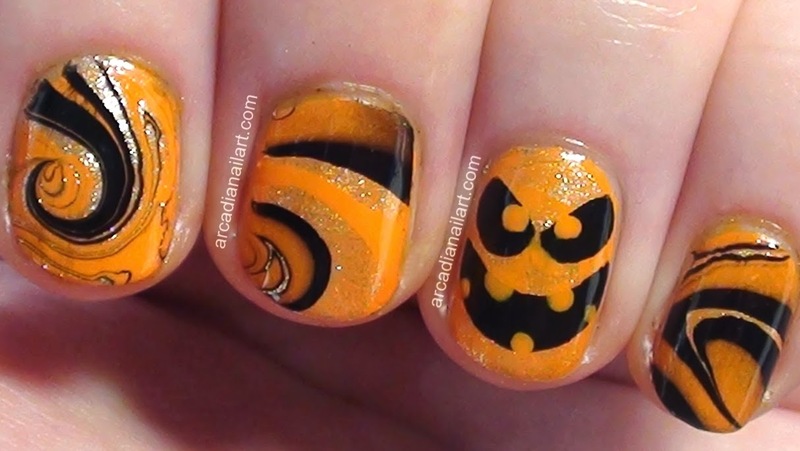 Don't be daunted, it's a very simple water marble that only takes a few drops of polish, finished off with an easy, evil pumpkin face. My favourite Halloween movie is The Nightmare Before Christmas and I tried to evoke the curled hillside that Jack stands on with the curl in the water marble. I think I nailed it on my index finger! Fail on the other 2 tho lol. China Glaze is always my go to water marble brand, and I used 2 of their polishes in this design. Papaya Punch, and Midnight Kiss, along with Wet n Wild Black Creme. Learn how to create the look in the video HERE, or below! 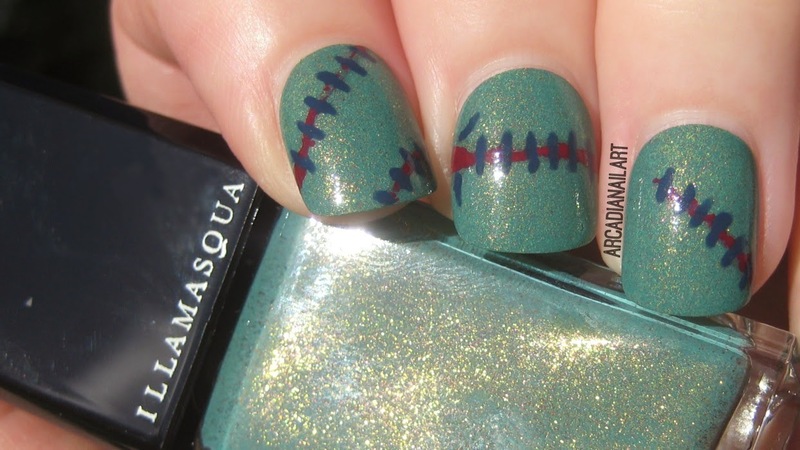 Vintage Vampire, Abstract Cobweb and Frankenstein's Monster Halloween Nail Art! It's nearly October and you know what that means! Yep! 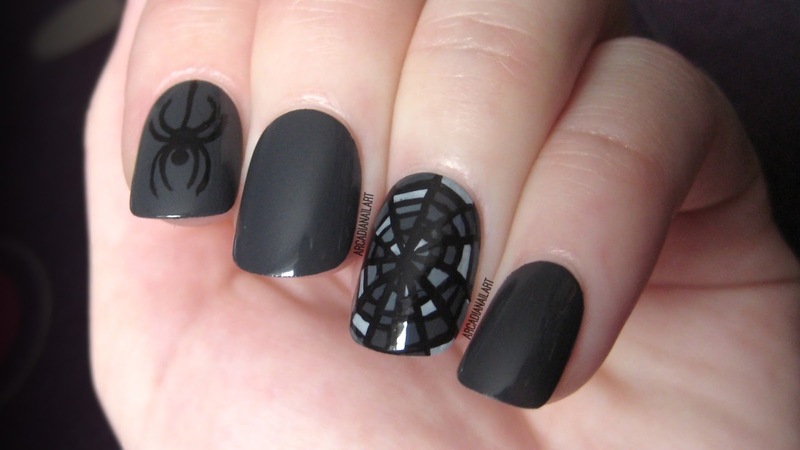 Trying to invent some kind of halloween nail art that no one has ever done before. Great. 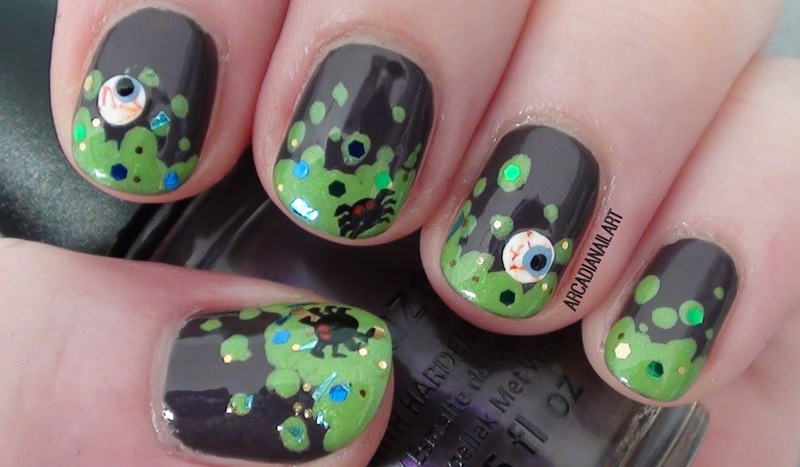 I think that's pretty much impossible, for me anyways, so instead I did my versions of vampire, zombie/frankenstein and spider nails. They range from easy to advanced in skill level and showcase different nail shapes too as I've been enjoying almond shaped nails recently. 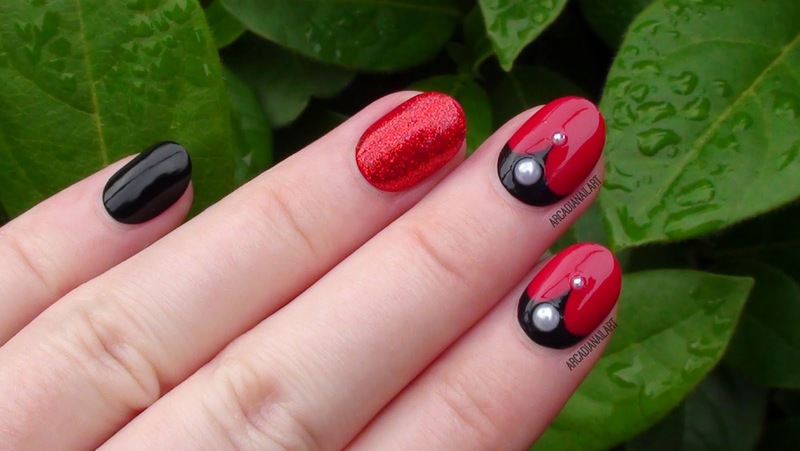 Learn how to paint them in the video tutorial HERE, or click below. All items used are listed in the description of the video! It's a long time since I've done a swatch post here on my blog so when Illamasqua sent me their latest from the new 'Once' collection I couldn't resist sharing with you. Once is a vintage inspired collection with a 'modern vital spirit' and includes a beautiful jade green polish named Melange. I would describe it as a dusky jade green filled with foiled flecks of gold and copper that shine like embers in the sunlight. 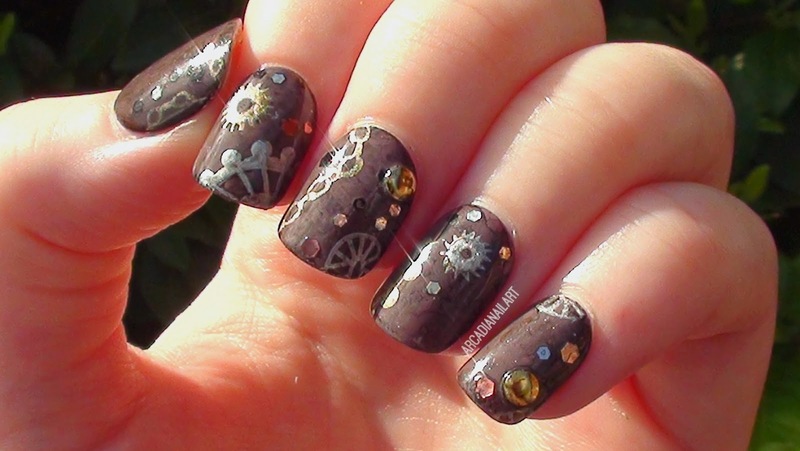 Melange applies in 2 easy coats, and all the photos are without topcoat. 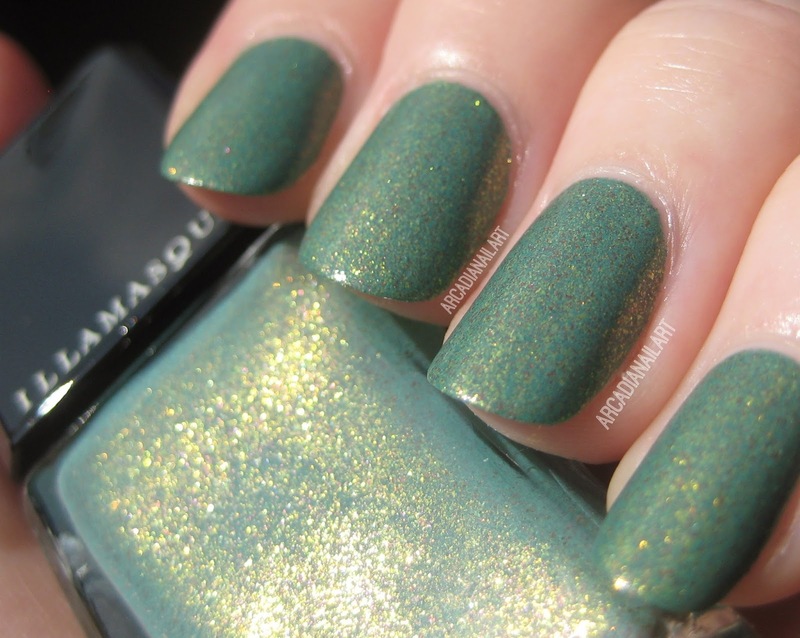 You can find the collection at Illamasqua.com (they have free UK shipping). Illamasqua sent me the polish with no obligation to review, all the opinions are my own and this post is not sponsored. The '3 designs in 1' videos I started making a few months back have been really well received so I thought I'd try another filled with designs made with only a dotting tool. 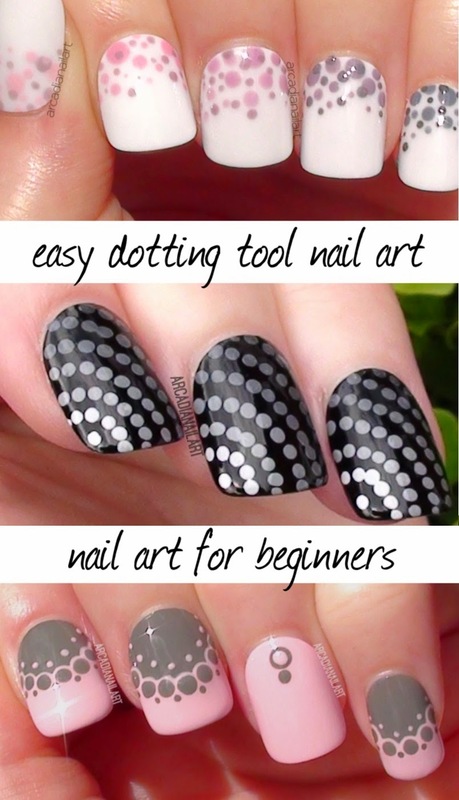 A monochrome gradient, a dotted ombre, and simple dotted lace make up 3 easy designs that even a beginner can have a go at. All the items used are listed in the description box of the video, I hope you enjoy it. You can watch the video HERE, or click below! You can watch the video HERE or click below!